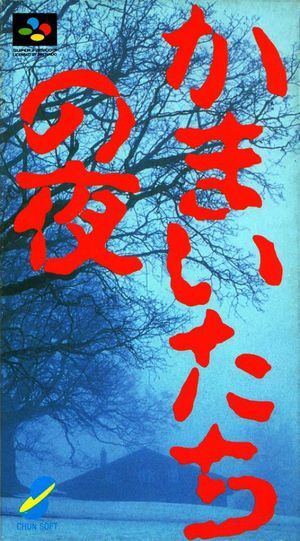 In Kamaitachi no Yoru Tōru and his girlfriend Mari are on vacation at a skiing lodge when they find themselves suddenly drawn into a horrible murder mystery. The player must solve the crime. If they are too slow in collecting clues, additional murders will be committed, and will eventually result in a horror movie-like ending. The goal is to complete the story and get a certain number of endings. When this happens, two more stories are unlocked. Getting every possible ending of all three stories will unlock two more stories, these being self-parodies. Completing these unlocks one final feature, a parody of Torneko no Daibōken: Fushigi no Dungeon. None of the stories are related to each other in any way, but they all feature the same characters. The graph below charts the compatibility with Kamaitachi no Yoru since Dolphin's 2.0 release, listing revisions only where a compatibility change occurred. This page was last edited on 10 December 2017, at 21:50.